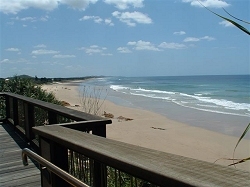 Coolum Beach and the surrounding beaches of Mudjimba, Marcoola and Peregian, provide visitors with a tranquil escape from the bustle of major cities and other busy beaches on the Sunshine Coast. 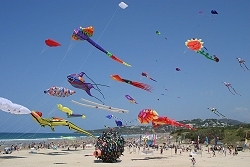 The region has grown enormously provides the ideal holiday escape destination for singles, couples and families alike for either a weekend escapes or for an extended holiday. Wide-open beaches providing some of the best surf breaks on the Sunshine - coast regardless of the weather conditions. These sandy beaches are perfect for the early morning or late afternoon stroll. The rocky headlands of Point Perry and Point Arkwright are in stark contrast to the wide open beaches and provide the perfect viewing platforms from where you can take in a wide angle view to other headlands. You can enjoy the sound of the waves crashing onto the rocky outcrops, view the frenzy of the feeding birds over a school of fish and enjoy the talents of the surfers as they challenge the swell. During certain times of the year whales can be viewed passing by. Accommodation to suite all types of travellers from Three Star to Five Star, Caravan Parks, Beachhouses. These include absolute beachfront complexes, resort style apartments and luxury Penthouse apartments with roof-decks providing stunning ocean views of the majestic coastline. The Beachhouses provide the perfect getaway for the large families and groups looking for a quiet location from which to enjoy their time away together. Some of these are located on the beachfront while others are in an elevated position taking in coastline views or views over the Hyatt Regency. Some of the best eating out places known Café’s, Bars and restaurants on the Sunshine Coast perfect for the all day dining or to wind down after a busy day at the beach. Entertainment venues for events live bands & local markets. Shopping of all types from grocery, jewellery, fashion and lifestyle and home wares stores. Close proximity to premier Golf Courses including Novotel Twin Waters, Hyatt Regency, Mount Coolum, Noosa Springs and Pelican Waters and The Australian PGA Held at Palmer Coolum resort. The Real Estate in this region has made it one of the "Hot Spots" in the Australian Real Estate industry. The landmark feature, Mount Coolum, is a major attraction to the avid bushwalker and tourists alike. The views from Mount Coolum are absolutely breathtaking. 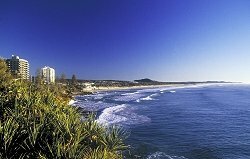 Coolum provides to the visitor visible and physical contrasts from the wide-open beaches, the enormity and presence of Mount Coolum to the vast cane fields and farming areas surrounding the area. 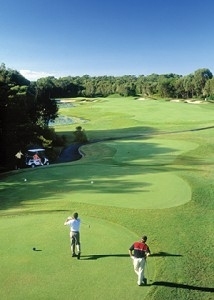 The Australian PGA Golf Championship held at the Hyatt Regency Coolum from 2002 through to 2009. 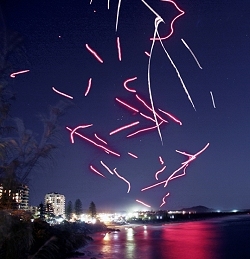 This is one of the major events on the Australian Golfing calendar. Whether you are looking to relax and unwind or wanting to take in all that Coolum and its surrounds has to offer, we know you’ll enjoy your stay. Check around the site. 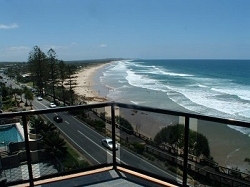 We are sure you’ll find everything you need to know about Coolum and its surrounding areas.!! If you can't find what you are looking for or if you need any further information email us NOW on mail@coolum.com.au We will look into your inquiry and respond without delay.